In the ‘60s, ‘70s, and ‘80s, when teachers caned wayward or indisciplined students, it was not a problem or issue. That changed drastically from the ‘90s until today - changed for the worse. Gangsterism and bullying in schools have become the norm and parents have also changed for the worse - becoming over protective to their wayward children. “Malaysian parents are now widely using the law to intimidate or threaten teachers who show concern for their child’s well-being by taking disciplinary action,” Gerakan Deputy Speaker Syed Abdul Razak Alsagoff said. He said it was, therefore, an appropriate and wise move by the federal government, namely the Attorney-General’s Chambers, to withdraw charges against teacher Azizan Manap. “Azizan had taken disciplinary action against an 11-year-old boy who was a habitual glue sniffer and a bully. “When Azizan was hauled up to face charges on Dec 20, the National Union of Teaching Profession, with hundreds of members, rightly turned up at court to provide moral support,” he added. Syed Razak, who is Gerakan’s nominee to contest N.37 Bukit Lanjan in the coming 14th General Election (GE14), said “teachers’ tolerance with indisciplined students and their parents is limited”. “They face severe stress and responsibility. 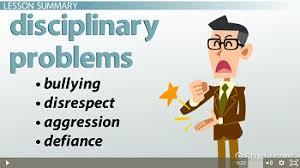 Yet, they now have to contend with the law for flimsy disciplinary issues with parents. “Do we want our teachers to behave like robots? Do we want them to ignore discipline, including those who refuse to their homework? “When our teachers are pushed to the wall and they start behaving like robots and teach just for their salary, what will happen to our children? “Do we want our teachers to adopt the attitude - I am here to only teach, not care whether the student is interested to learn or not. “So, parents, before you go after teachers, take a second look at the behaviour of your children. The teacher is only disciplining your children out of concern for their well-being,” he added. SEREMBAN: The nightmare is over for teacher Azizan Manap – at least for now – as he was given a discharge not amounting to an acquittal by a magistrate’s court here for allegedly causing hurt to an 11-year-old pupil. Azizan, 44, better known as Cikgu Azizan, vividly remembers the day he got a call from the police station while he was on duty in school. The call came from a police officer with the Nilai station. On April 6, the senior teacher had lost his temper at a misbehaving pupil. “I went completely numb when the officer told me that I would be charged in court with causing hurt to the pupil in five days. “I will never forget the moment for the rest of my life. It has affected me emotionally for the past 55 days until my discharge a short while ago,” he said after the magistrate’s decision. Earlier, magistrate Mohd Zaki Abd Rahman said the court decided to discharge but not acquit Azizan after deputy public prosecutor Hazeelya Muhammad said her team would not be pursuing the case. Hazeelya told the court she had received instructions from the Attorney-General’s office in Putra jaya. Azizan, a teacher for 20 years, was accused of deliberately slapping the pupil at SK Taman Semarak in the school assembly area at 7am on April 6. His action had allegedly caused injury to the pupil’s left cheek. Azizan, who had been transferred to the school less than five months before the alleged incident and was senior assistant for student affairs, was charged under Section 323 of the Penal Code which provides for a jail sentence of up to one year, a fine of RM2,000 or both upon conviction. Azizan was represented by counsel Francis Pereira, appointed by the National Union of the Teaching Profession. “Only the Almighty knows how relieved I am today. I wish to put this episode behind me and move on,” said Azizan, adding that he was shocked after being told he was to be charged in court as there had been no developments after the alleged incident in April. Azizan, who is from Kg Sg Machang in Lenggeng near here, said he harboured no ill-feelings against the boy’s family. “Whatever I did was in the best interest of the child. There was no other motive,” said Azizan. Azizan, who teaches Bahasa Melayu for Year Six pupils, said he was also looking forward to the new term. “I want to go back to SK Taman Semarak and continue with my passion, which is to teach. I had been so worried about my future as an educator and my family after the matter went to court,” said Azizan, whose wife is also a teacher. Azizan said he was humbled by the support from members of the public, including teachers. Several hundred people started gathering at the court complex in Seremban 2 near here as early as 7.30am yesterday in a show of solidarity with Azizan. Also present was Cuepacs president Datuk Azih Muda and National Union of Teaching Profession chief Kamarozaman Abd Razak. A short prayer was held before Azizan entered the courtroom. Many people also shook his hand as he made his way to court, giving him words of encouragement." What message are we sending, if the educators of our children, choose to break the rules ? Accepting the culture of "Duit Kopi" ?? If the educators of our children can cherry pick which rules and regulations they want to follow, then it is no wonder that Malaysia finds itself in the quandary that is prevailing ! When the enforcers of justice can openly declare " Saya pun cari makan", and elected representatives choose to remain complacent to blantant brigandry ! When even Ministers are Unashamedly Cowards in pursuing prosecution in clear cut cases of Criminal Breach of Trust, but doggedly choose to hold on to their positions ! And it starts with the minds of our children !! !